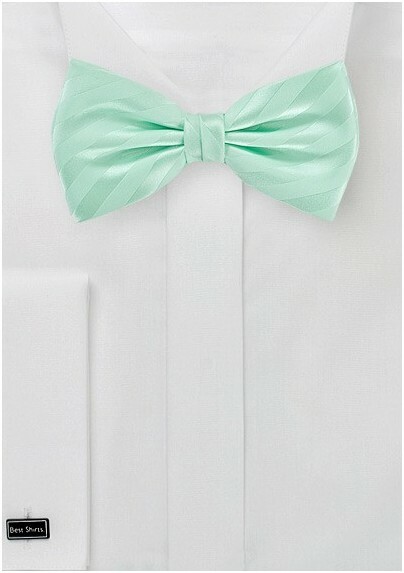 Whether you're dressing for a wedding, attending the prom, or looking for the perfect tie for your catering staff, this Pale Mint Striped Bow Tie is just the ticket for formal style. Its solid striped pattern is finished in a healthy sheen that makes it look like real silk, but at at much more affordable price. 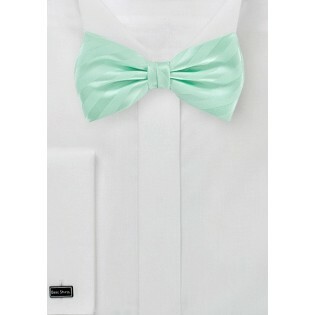 Made by Cantucci, this tie comes with a pre-tied bow and easily adjustable neck strap. Also available in a matching pocket square.